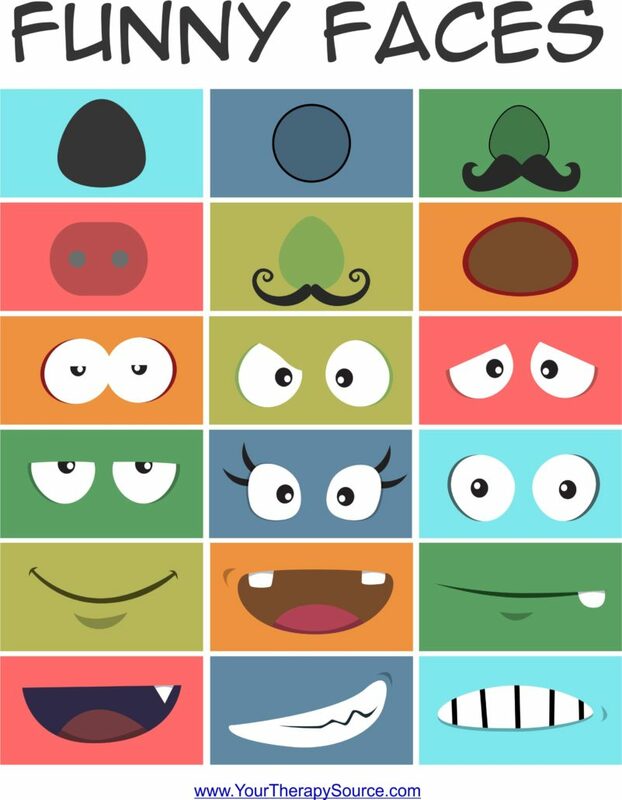 This Funny Faces Freebie is great fun to download, print and create for the kids. To start, download the freebie (see below). 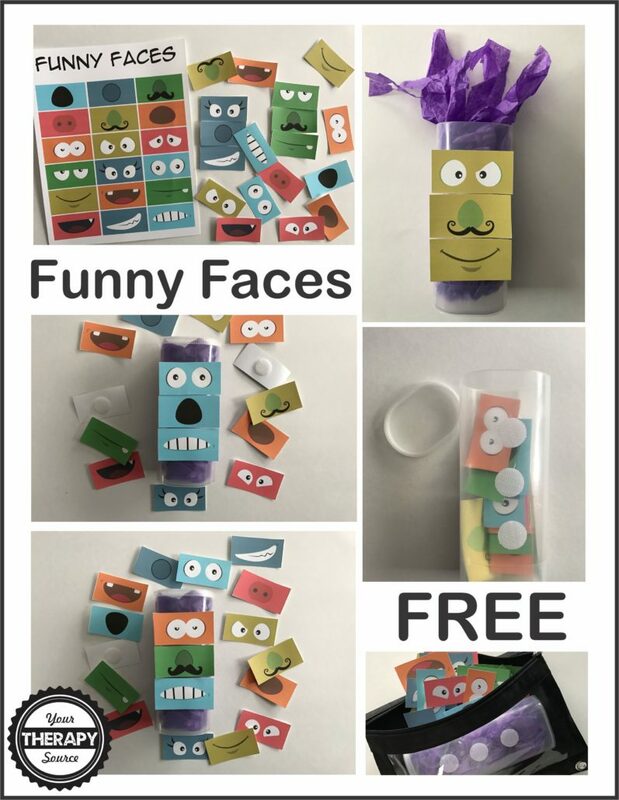 Once you print the Funny Faces Freebie page, cut apart the rectangles. You can either have the children cut apart the cards to practice scissor skills or an adult can cut apart the cards. Another option, is to have the adult cut the rectangles into 3 strips and the child can cut apart each card. Grab a recycled container to hold all the cards. I used a lemonade container but you could use a peanut butter jar as well or any old container. Match up the cards – mix up all the funny faces cards and then match them up with the correct color. Create different faces – put velcro dots on the back of each picture and the front of your recycled container. The children can mix and match the eyes, noses and mouths to create different silly faces. Try and draw the faces – place the cards into three piles face down – one pile of eyes, one nose pile and one mouth pile. Turn over one of each. Draw a circle on a piece of paper and draw the features on the cards that you turned over. Make a busy bag – put all the cards into a zippered bag for an on the go activity. Hidden Faces – hide the faces around the room. How quickly can the child find the faces and match them all up? 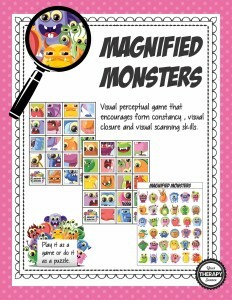 Magnified Monsters: This download includes a super cute, fun, monster themed game to challenge visual form constancy, visual closure and visual scanning. The object of the game is to match the magnified picture of the monster with the full size picture of the monster. Play it as a game or print is in puzzle format to write in the answers. FIND OUT MORE INFORMATION.